The Leolux Tampa tables combine a useful function and colourful look with a playful shape. Beautiful compositions can be created by combining different leaf shapes. Tampa tables are made with round, bean or egg-shaped upperleaves in a range of materials. The leaves are finished in oak, walnut, marble, glass or lacquer. Your own individual interior style? The possibilities are endless with Tampa. The Tampa coffee table is available in different versions: “Bean” in glass or lacquer (according to choice), “Ovo” in oak, walnut or lacquer, “Round” in marble or lacquer and “Double Round” in these same materials and a glass lower leaf. 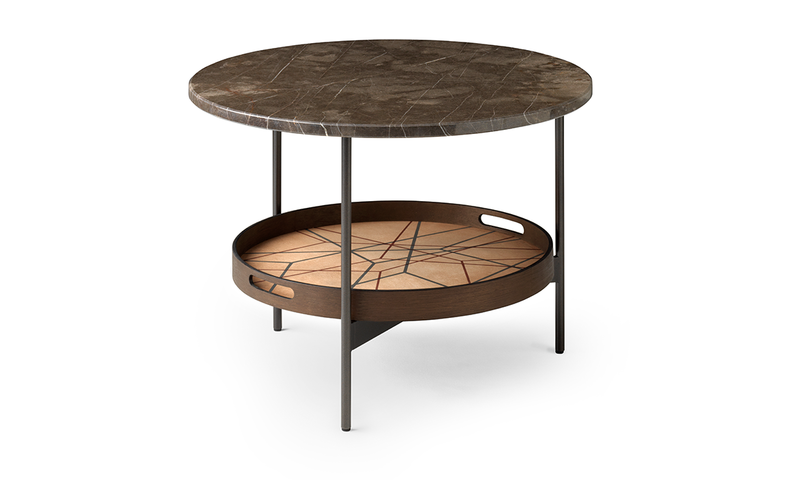 The “Round” occasional table is finished in oak, walnut or lacquer. Leolux finishes each frame in a black powder coating (E2200 Nuit) as standard, but other epoxy colours can also be used for a personal touch. 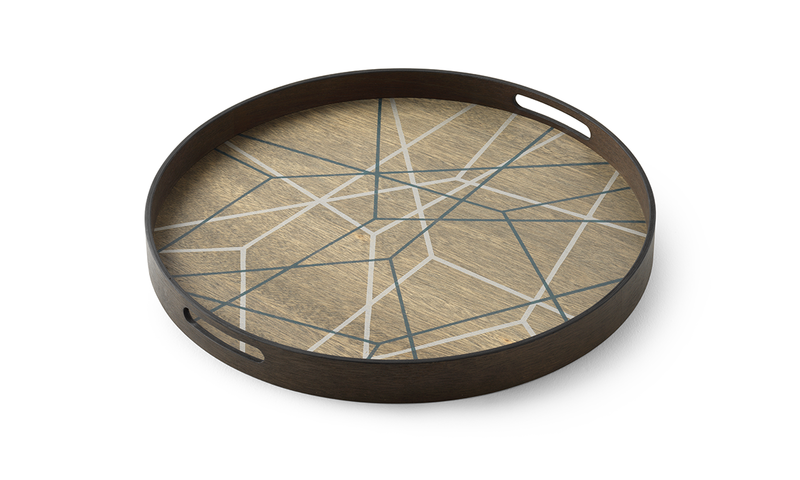 The combination with “Troy” is decorative and functional; a dark wood tray with a high raised edge that looks fantastic on the coffee table frames. The Troy upperleaf is available in two wood stain colours: “Grey” with a graphic pattern in blue and white or “Blush” on which a blue-red pattern is applied. You can not use the map without cookies. First, agree on the functional cookies that are part of this Google application. Leolux works with a network of specialised dealers. Our products are always sold via the Leolux dealer. Leolux Design Centers are advice points, where you’ll find the complete current collection. These spacious presentation centers offer you ample opportunities to try out a seat. Enter your city or zipcode and find your nearest Leolux dealer.